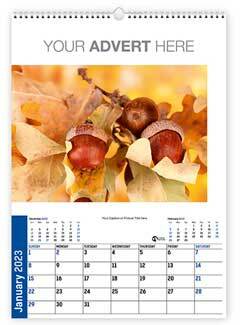 The printing and selling of a charity calendar is an excellent way of making money for your chosen charitable organisation or for your sports club or indeed any organisation. 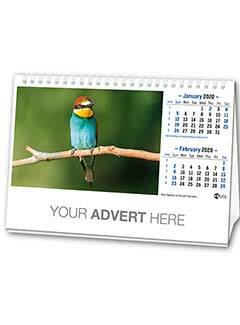 Promocalendars are experts in supplying charity promotional calendars and we will help you all along the way in getting your fund-raising calendars printed. 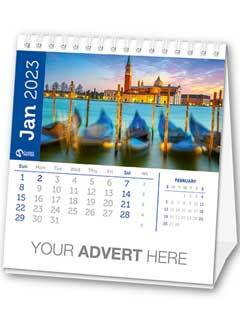 With modern digital printing techniques it is now possible to have bespoke images put on all the different types of calendar styles including wall, desk and cd calendars. You can select images from our vast picture libary or you can supply your own images. We recommend that you approach local business people and ask them to sponsor a different month, and in return we can print their adverts on their chosen month. All advertising will be printed in full colour and we can even highlight specific days that are important to your organisation. 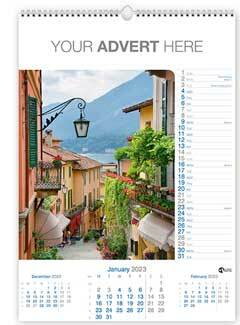 We will provide a pdf proof before we print your promotional calendars and all our fund-raising calendars are supplied with mailing envelopes. Please contact us if you would like to order a bespoke charity calendars brochure. 1. Select your chosen title from the Aston Bespoke Charity Calendar Range. 2. View the Charity Calendars Price-List or telephone: 01539 733113 or request a quote for your immediate quotation. 3. 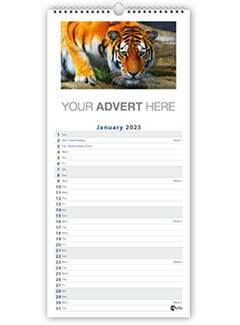 Place your order.We will contact you for your advert details and produce a free proof for your approval before we print your charity calendars. 12 leaves wirobound with optional cover. Advertising area 195 x 35mm (A4) 277 x 50mm (A3). Picture area 151 x 184mm (A4) 214 x 260mm (A3). When choosing images please select PORTRAIT. 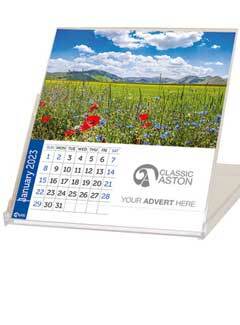 All Aston commercial calendars include mailing envelopes. Free carriage on all fund-raising calendars. Picture area 210 x 147mm (A4) 297 x 208mm (A3). When choosing images please select LANDSCAPE. Free carriage on all fund raising calendars. 12 leaves wirobound with optional cover 153 x 340mm. Advertising area 127 x 35mm. Picture area 127 x 75mm. Free carriage on all Aston charity calendars. Free carriage on all Aston charitycalendars.